The experimental entry in next year's 24 Hours of Le Mans will be a full electric vehicle that looks suspiciously like the Nissan DeltaWing racer only with a fully electric drivetrain capable of sending the car to speeds over 186 mph. They're calling it the ZEOD RC, which stands for the Zero Emission On Demand Racing Car. I think it sounds ridiculous, but it looks great and I love that Nissan is continuing to invest in motorsports so they're going to get a big old pass on the name until I have to pronounce it out loud. As you might suspect after looking at it, a lot of the folks involved in the DeltaWing program are also involved in this one, including designer Ben Bowlby. Realistically, this is an electric DetlaWing Coupe. They admit that the current battery technology isn't up to a 24-hour race so they're going to have to continue to tweak the rules and their abilities to make it work. Should be interesting. Why doesn't Tesla have a race team? Those things are fast. BAM. David Shepardson with the story of the day pointing out that sweater model/CEO Sergio Marchionne and lost Eddie Munster twin/Transportation Secretary Ray LaHood met at a Chicago airport to avoid the Jeep recall showdown. As you'll remember, the feds eventually asked Jeep to recall 2.7 million Grand Cherokees and Libertys, which they were able to avoid with trailer hitches. After NHTSA Administrator David Strickland told LaHood that Chrysler wasn’t going to go along with a recall, LaHood said he would call Marchionne. “I said, ‘I want to find out if Sergio is involved in these decisions,’” LaHood said. LaHood suggested the three meet in person. “We need to figure this out,” he told Marchionne. So on Sunday, June 9, the three met at the Federal Aviation Administration office at O’Hare International Airport. LaHood drove up from his home in Peoria, Ill., while Marchionne flew in from Italy and Strickland took a flight from Washington. After a tough, hour-long “frank” meeting, the sides agreed to try to settle the matter, and Marchionne sent a team of engineers to Washington the next day to work with NHTSA on the outlines of a fix. 3rd Gear: Good Credit Or Bad Credit? Some of the comeback in U.S. auto sales can be linked to easier credit for buyers (more on that from TTAC). Is that a good thing or a bad thing? The Detroit Free Press talks to monitoring firms who argue it isn't as bad as you'd think. Sure, but is it good to give people with low credit scores an 84-month loan on a depreciating asset? I'm still skeptical. Bloomberg via Automotive News points out that the rule requiring backup cameras for a lll new cars has been pushed back to 2015. Why? They're looking at how to incentives the technology in their safety ratings to make it more valuable. Estimates of the cost says it'll be about $2.7 billion or $18 million per life saved. On an individual basis that is, of course, worth it. However, there has to be a smarter and more effective way to spend $2.7 billion to save people's lives. Right? And speaking of safety technology, I think a new development from Ford is fairly clever. You can read all about it here, but basically Ford's "Safe Intelligent Mobility – Testfield Germany" (simTD) joint venture developed a brake light that communicates with the car in front of you to let you know that car is braking. Most brake lights are binary: they're on or they're off. This would let you know the car in front is seriously slamming on their brakes, perhaps to avoid an accident or something in the road. Simple. Relatively light weight. Probably effective. After an entrant spun out of control during the 1938 Mille Miglia, killing 10 spectators—, including seven children—the Fascist government of Benito Mussolini banned the race. It resumed briefly during wartime but was suspended again after the 13th running in 1940. After World War II ended in 1945, much of Italy's infrastructure, including roads and bridges, had to be rebuilt, gasoline and rubber were still being rationed and the country's new government was struggling to demonstrate its effectiveness in the wake of the Fascist movement's demise. Mille Miglia organizers were forced to postpone the starting date from late April to June 1947; they also switched to a new 1,800-kilometer route. Finally, on June 21, 1947, 155 starters left the line for the 14th edition of the Mille Miglia. Aided by a violent rainstorm that hampered runner-up Tazio Nuvolari's small Cisitalia convertible, the driver Clemente Biondetti won the race in an Alfa Romeo. 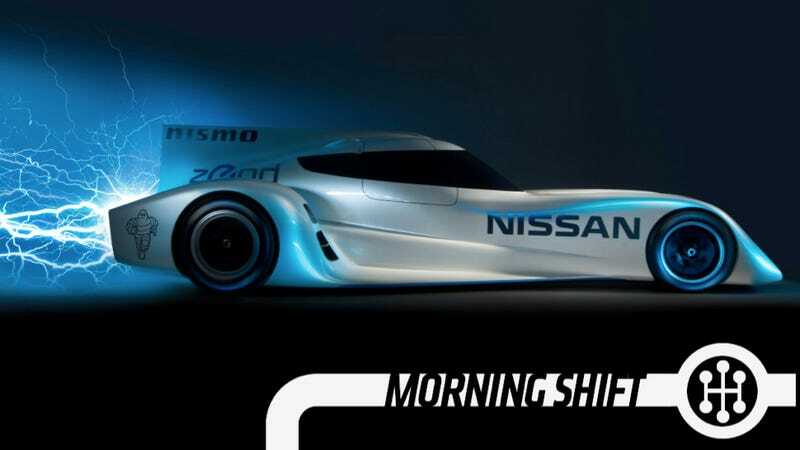 Neutral: What do you think of the Nissan ZEOD RC? Can you have a race car that can't run a full 24 hours?